By now, you have heard all the arguments in favor of regular blogging. It keeps your site fresh for SEO purposes, it offers value to your website visitors and customers, and it helps to establish your company as an authority in your field. Although you feel ready to start, it’s a struggle to actually do so. Not only are you not quite sure what to write about, you’re not clear on the purpose of your blog. While the above reasons for having a blog are important, they won’t mean much to your readers. They only care about reading blog posts that relate to their areas of interest. Below we explore three reasons outlined by ProBlogger to help decide what your blog is really about. If you want to realize the benefits of blogging listed above, you need to choose a niche early on in your blogging career. When you write about a variety of different topics, it’s hard to attract consistent followers. A reader may come to your site due to initial interest in a topic but then not come back if future blog posts don’t compel him or her to read them. It’s also a good idea to include your chosen niche in the title of your blog. For example, the website ProBlogger is all about blogging. The title of another site one of the owners operates about digital photography is Digital Photography School. This lets potential readers and customers know in one glance if the blog is something they want to pursue. What Demographic Are You Trying to Reach? It’s also important to know who you want to read your blogs. Do you want to reach people in a specific age group, those who follow a certain lifestyle, mostly men or mostly women? When you know your audience, it isn’t always necessary to write for a certain niche. That is because your target audience will likely end up at your blog anyway because the posts speak to their current position in life. For example, you would want to include posts about style and beauty if the purpose of your blog is to create a blog aimed at people in a certain age demographic who routinely pursue information on those topics. People read blogs for a variety of reasons, including to feel entertained, to learn more about a topic, and to find solutions for their own struggles. Of these, the latter can draw the most readers because people need solutions for issues in their personal and work lives. 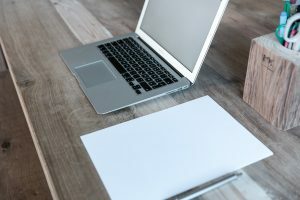 When you create your blog around a topic such as how to close more deals as a sales professional, it will attract people who want ongoing guidance on this topic. Lisa Kroulik has been self-employed as a content marketing writer since April 2011. This is her full-time career. Lisa appreciates the Content Runner platform for its transparency, the client relationships she's built, and the opportunity to earn a great income doing what she loves. Lisa lives in Minnesota with her husband, two daughters, and two spoiled cats. If you would like to work with Lisa on Content Runner, please view her profile at https://www.contentrunner.com/profile/lisakroulik and get in touch.